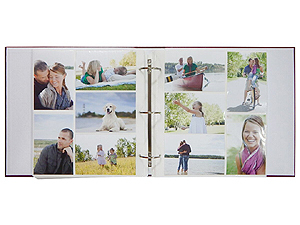 Pack of 5 sheets for 10 sides to fit the MBI 400 Pocket 4x6 3-Ring Pocket Photo Albums. White mesh background. Holds 3 horizontal and 2 vertical photos.